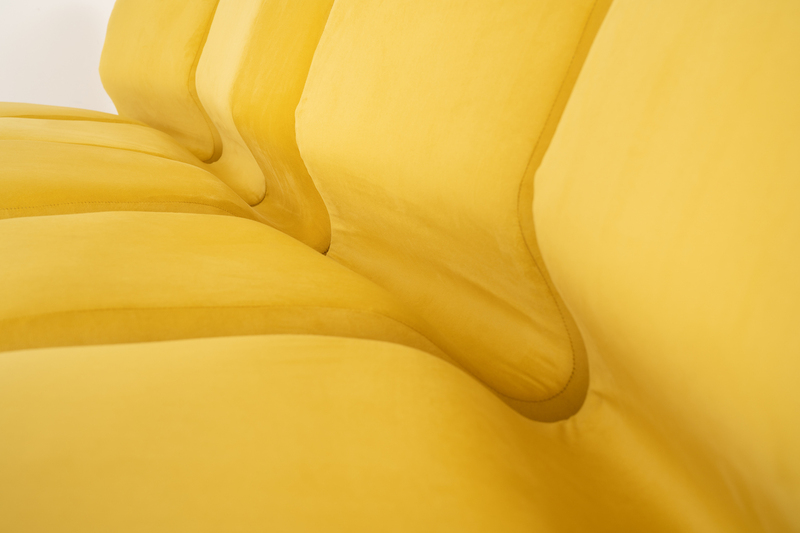 Wowee. 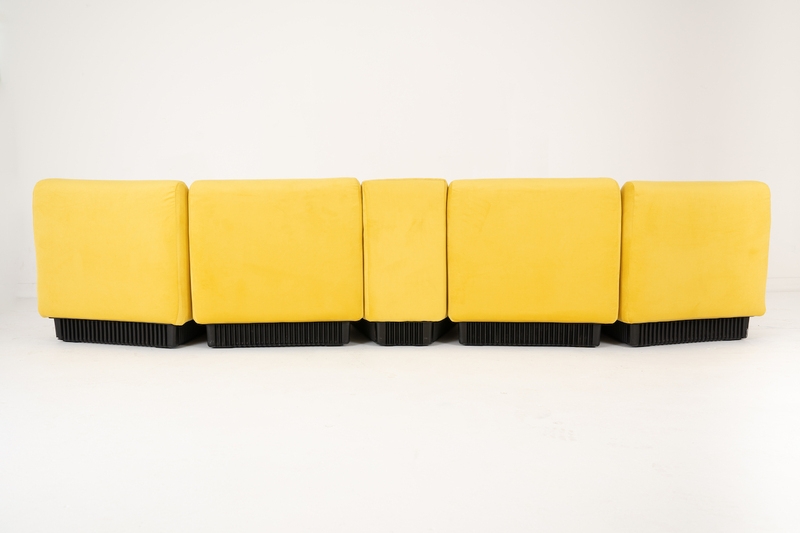 This 5-piece modular beauty was first designed in 1974 for Herman Miller. 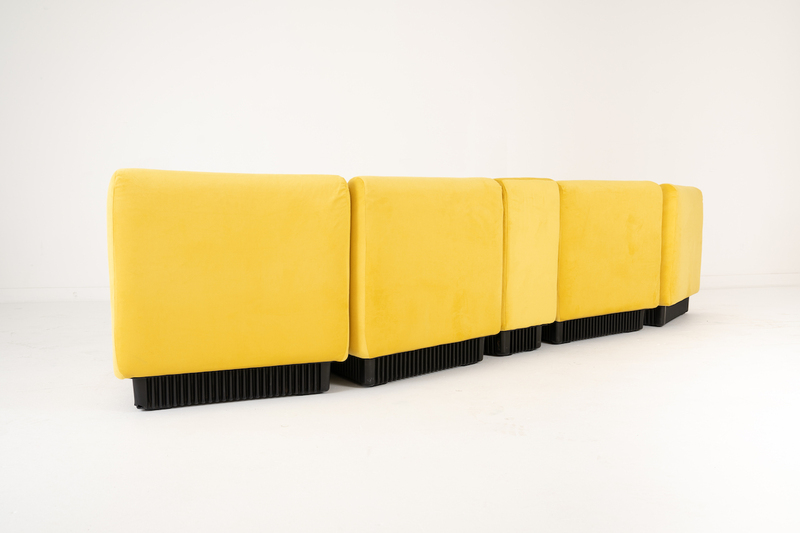 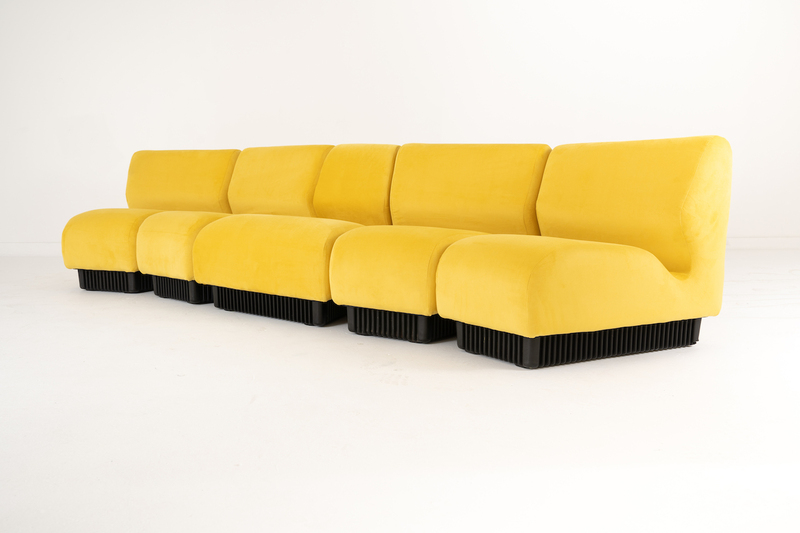 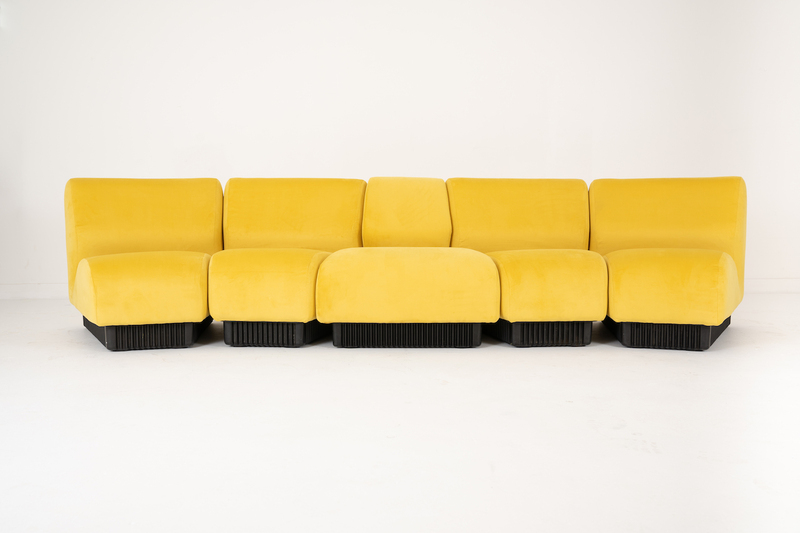 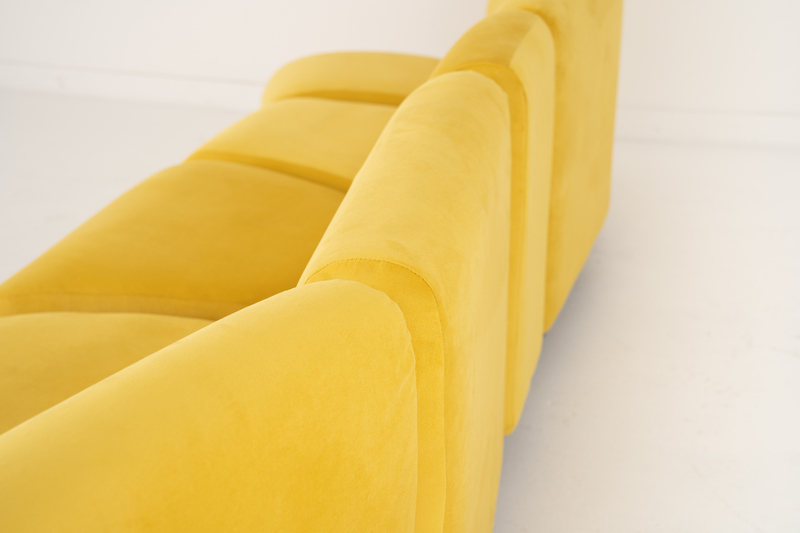 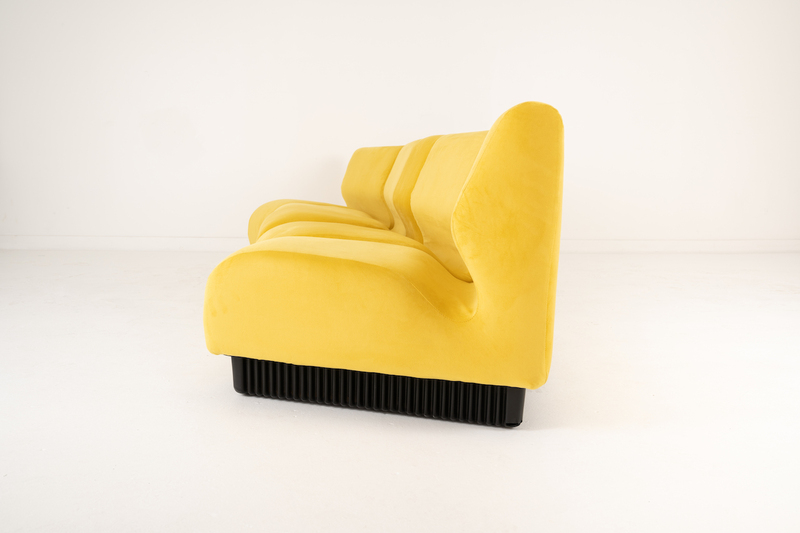 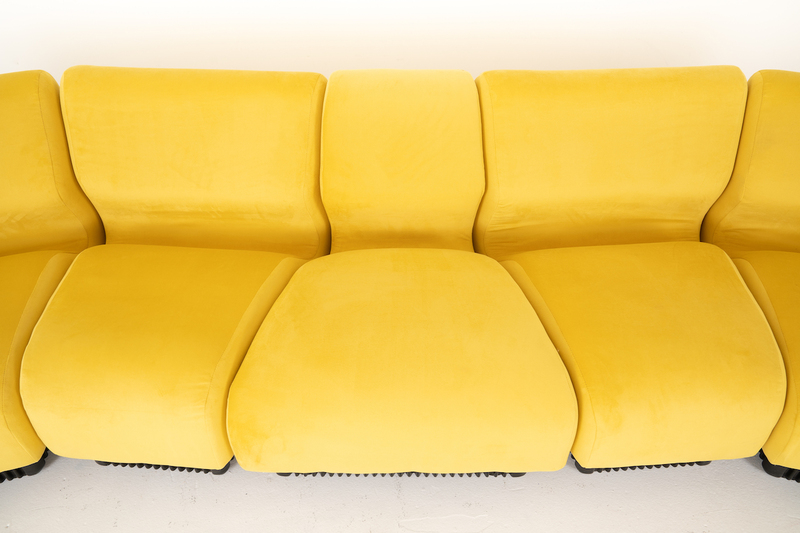 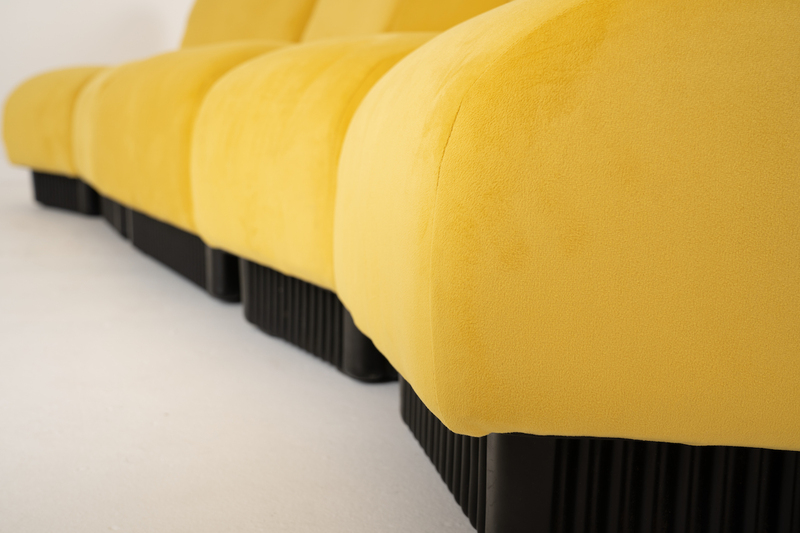 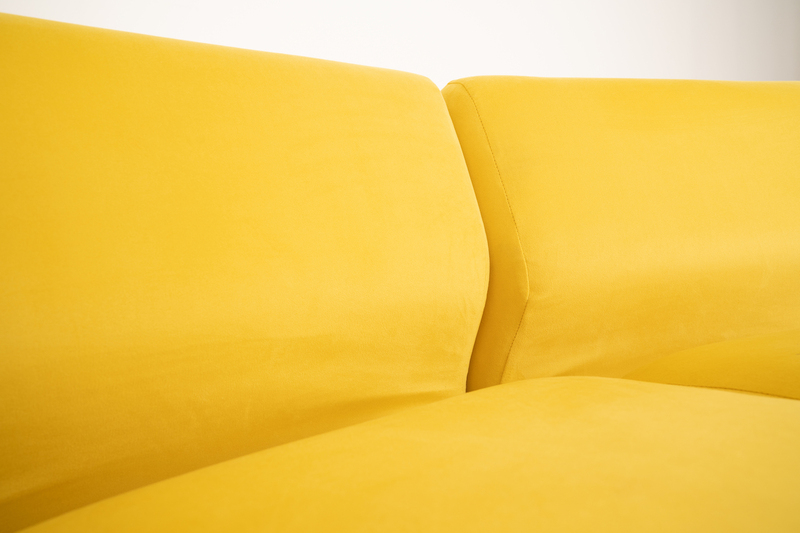 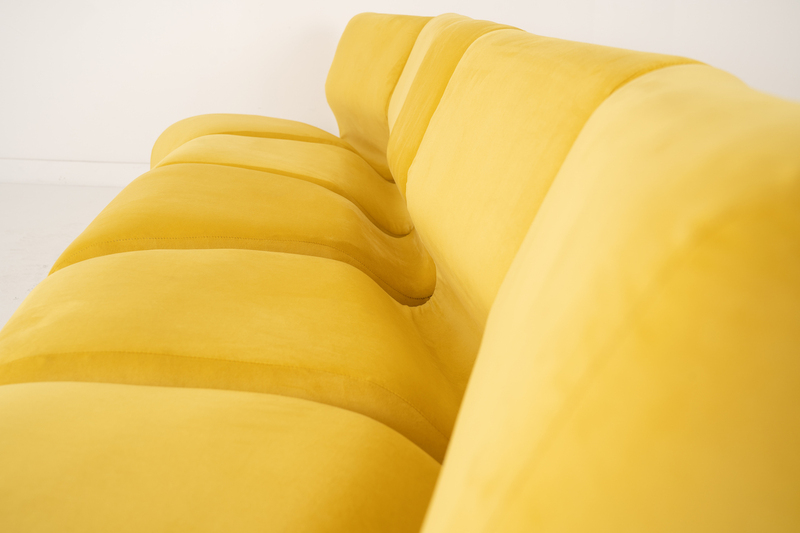 A true vintage sectional that can be arranged in any which way your heart desires with a stunning yellow velvet upholstery on a black molded base.